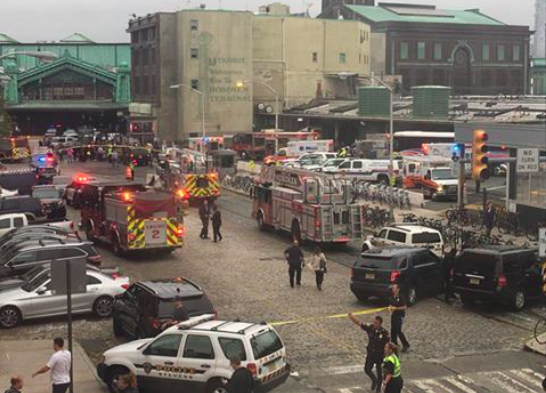 My heart breaks for those people impacted by the train accident in Hoboken this morning and their families, and I wish those injured a speedy recovery. Amid the emergency this morning, I was comforted to see the great work being done by the Hoboken Police Department, Hoboken Fire Department, EMT’s, and the NJ Transit police, who were the first on scene, followed by law enforcement officials and emergency personnel from Jersey City, North Bergen, North Hudson Fire, Union City, Bayonne, the Hudson County Prosecutor’s Office, and other Hudson County neighborhoods. You all deserve our praise for being a professional, calming presence for the victims in the face of chaos this morning. Thank you to all of the departments who responded from neighboring towns - your commitment to our community is truly appreciated and we thank you. I’m also very proud of the leaders in our community who showed support today in Hoboken, including Senator Brian Stack, Mayor Dawn Zimmer, Congressman Bill Pascrell, Sheriff Frank Schillari, County Executive Tom DeGise, Assemblyman Raj Mukherji as well as Senator Robert Menendez and Senator Cory Booker, and many others. The outpouring of support and offers of assistance to our community are very meaningful to me. I ask residents to please be patient in the next few days as our public safety personnel works hard to get life back to normal, especially near our transit hub. Please thank an officer, firefighter, or EMT if you see them – they’ve had a very stressful day and will be working long hours after the news cameras have left to fix what was broken today. While specific details about what caused this accident are unknown at this point, I look forward to reading the investigation report and learning about how this happened, so we can work in the Legislature and with our local and federal officials to ensure these types of incidents do not happen again.